IT’S A revolutionary, smoke free product that has taken the world by storm. Last night in South Africa IQOS was officially unveiled by the parent company Phillip Morris International that was also beamed to other international cities. Revolutionarised smoking. Marcelo Nico, MD at PMI at the launch last night. Image SLM. Innovative and described by scientists as ‘technologically advanced heat-not-burn alternative to cigarettes and offers a cleaner way of enjoying real tobacco with no smoke, no ash and less smell’ it will be available in the market in both IQOS 3 and IQOS 3 MULTI. With over 268 stores worldwide and six millions users, it promises a better life for all. Marcelo Nico, managing director at PMI SA says this is a game changer if, not a disruptor of note. The Argentinian born who has been in mzansi for seven years, heading the multinational company says their aim is to switch 7million South Africans from using cigarettes and to smoke-free alternatives. “Because it is 90% less of chemicals, IQOS is meant to be progressive for smokers hence it is popular in Europe, and Japan is our cash-cow,” says the married father of two, in strong Argentinian accent. IQOS leaves less lingering smell on hands, hair and clothes comparable to cigarettes, as we experienced at the launch. The new products have new features including; a simplified user interface, smaller holder and charger and a more sophisticated design, while the revolutionary IQOS 3 MULTI provides 10 consecutive uses without needing to be recharged. The products are more functional with its smaller holder and charging innovations. As state-of-the-art design and premium feel, IQOS 3 and IQOS 3 MULTI comes with a choice of 500+ colour combinations and accessories. “The best thing a person can do is quit all forms of tobacco and nicotine altogether,” says Blaine Dodds, marketing manager, Reduced Risk Products, PMI South Africa. 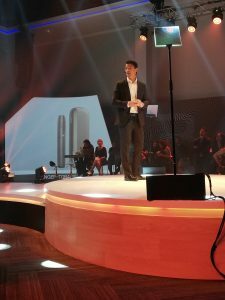 IQOS brand described by scientists as ‘technologically advanced heat-not-burn alternative to cigarettes. 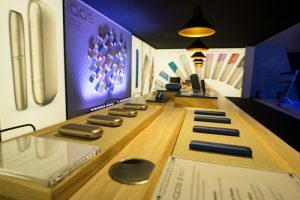 Due to Government tobacco regulation, no advertising will be taking place as per the draft Bill, therefore the only solution to popularize the brand is through kiosks that will be dedicated to the consumers countrywide for walk-ins, says Nico, who supports Orlando Pirates, Manchester City, Barca and Juventus. Talks are at advanced stage to increase footprint in other African regions. Products will be available for pre-order on the 24th of November and on shelf from the IQOS Kiosks and stores from 3rd December, and they range from R950, R1600 and R1800. The evening at Galleria was rounded up by Lady Zamar, Tresor and DJ Fistas. MC was the omnipotent Masego “Maps” Maponyane.